Whatever it is, Nick’ll Fix It! My name is Nicolas Muller. 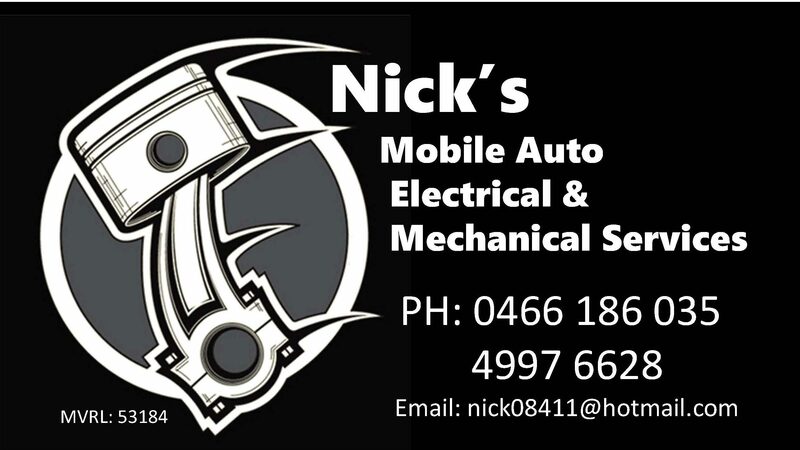 I’m a 31 year old Cert 3 Qualified auto electrician and mechanic starting a new adventure in my own business as a handy and convenient mobile auto electrician and mechanic for your local areas. And much more, whatever it is Nick’ll Fix It !! !